Japanese filmmaker Yugo Sako and legendary Indian animator Ram Mohan co-directed ‘Ramayana: The Legend of Prince Rama’ in 1992. Many Indians who grew up in the 1990s and 2000s will remember the animated film Ramayana: The Legend of Prince Rama. The animated feature, made in 1992 on the 40th anniversary of Indo-Japanese diplomatic relations, was regularly broadcast on Cartoon Network in India, but wasn’t released in theatres. With Adityanath’s elevation to the post of Uttar Pradesh chief minister, one of the Bharatiya Janata Party’s election plank, the construction of the Ram Mandir in Ayodhya, is once again being reconsidered. But as the long and troubled production of the animated film proves, Hindutva forces seldom allow interpretations of Hindu mythology even though it might be in line with their beliefs. The idea of the film came to Japanese director Yugo Sako when he was working on the documentary The Ramayana Relics in 1983, which looked at the excavation conducted by controversial Indian archaeologist Dr BB Lal near Allahabad. Sago was drawn to the spiritual themes of the epic, and is said to have read 10 different versions in Japanese. 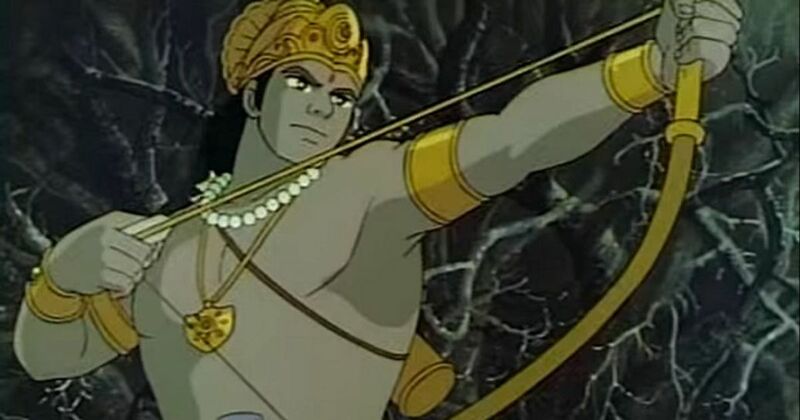 Feeling that a live action film could not do justice to the mythological tale, Sako decided to take the animation route and collaborated with legendary Indian animator Ram Mohan. “Because Ram is God, I felt it was best to depict him in animation, rather than by an actor,” Sago said in an interview. 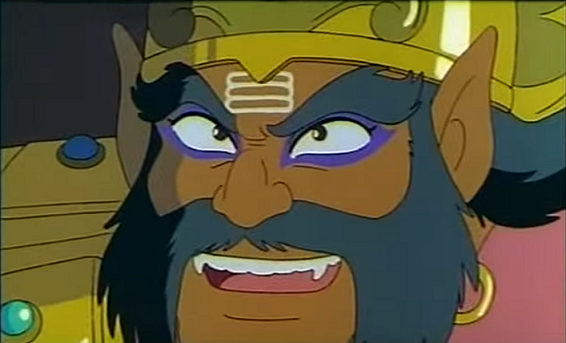 Raavan in Ramayana: The Legend of Prince Rama (1992). The catch was that while animation is an elevated art form that deals with serious themes in Japan, it is still considered a children’s genre in India. The Hindu fundamentalist group Vishwa Hindu Parishad protested the depiction of gods and goddesses as cartoon figures, forcing the film to be completed in Japan. The fact that the movie was being made at the height of the Ram Janmabhoomi movement, which culminated in the destruction of the Babri Masjid on December 6, 1992, further axed its chances of an Indian release. Hindutva forces have since made their peace with animated depictions of Hindu gods and legends, and numerous cartoon versions of the Ramayana, Hanuman’s exploits, and Ganesha’s adventures have been released without incident in theatres since. Had it been released as intended, Ramayana: The Legend of Prince Rama would have been considered a landmark in animation. Around 450 Japanese artists worked on the production, which blended anime visuals with Indian classical painting. The final film, which was made in Japanese, Hindi, and English, cost nearly $13 million. 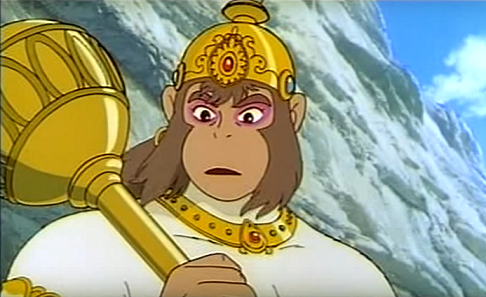 Hanuman in Ramayana: The Legend of Prince Rama (1992). The resulting film is far from controversial. Despite its lengthy duration, there is little time for digressions from the epic. The movie is a straight-up chronological retelling, without any commentary or exploration of the epic’s themes (see for instance, Nina Paley’s delightful Sita Sings the Blues 2008). But on a visual level, the film is an matched marvel. 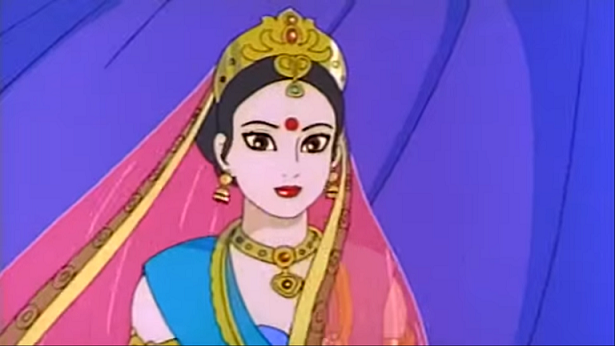 Sita in Ramayana: The Legend of Prince Rama (1992). The animated film skipped India cinemas but made its way globally under the title The Warrior Prince. Talks of a Hollywood version fell through. A studio wanted to alter the story by removing the bit about Rama’s exile and instead having Rama and Sita go into the forest for their honeymoon. 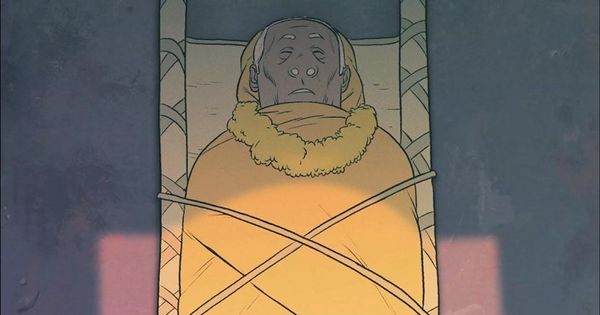 Had there been no controversy, could this anime version of Ramayana have altered the course of Indian animation history? Ramayana: The Legend of Prince Rama (1992).